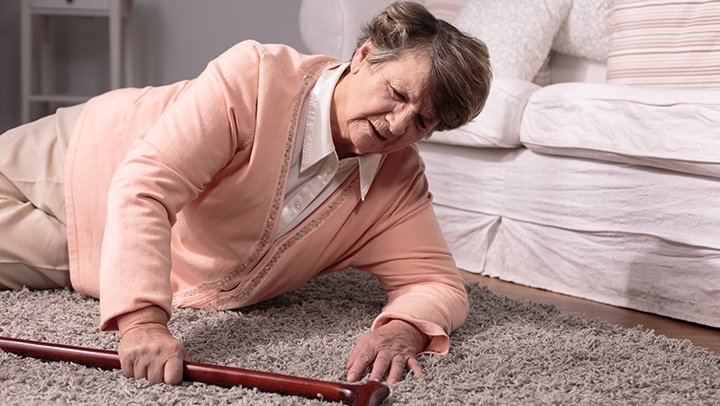 For seniors, a serious fall could lead to significant injuries or even hospitalization. Due to medical conditions such as osteoporosis and arthritis, our bones become brittle, and our bodies heal less quickly. Thankfully, caregivers can help. Fall prevention is a major aspect of the lives of medical professionals who work with seniors. It should also be at the forefront of family members' minds. Because of the severity of the health risks involved in these accidents, we all need to take action, and we're not the only ones who think so. PRN Newswire reports that Koffler Sales Company, a leading manufacturer of floor protection supplies, had donated $1 for every sale during the month of October to benefit Advocate Lutheran General Hospital for their efforts of becoming a zero-fall hospital. Koffler suggests that family members and caregivers install handrails and grab bars in "high risk" areas such as the bathroom. Smooth transition edging can also help with fall prevention. It's a type of flooring that creates a seamless transition between two floor types such as hardwood and tile. Finally, grip tape has been known to help increase stability for the elderly. You can install this anywhere they might struggle. To ensure your aging loved one is stable, safe, and secure, fall and slip prevention is essential. Don't let another day go by without using these tips!